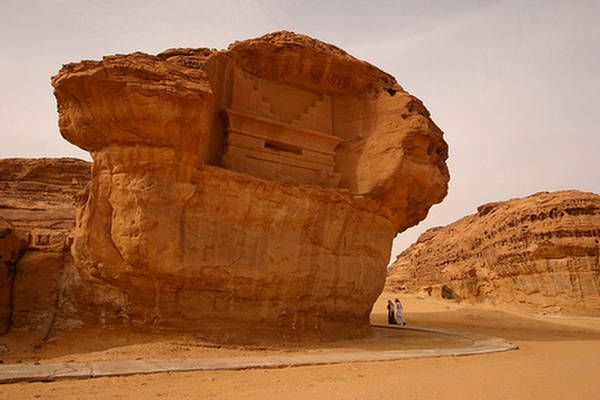 Located in northern Hejaz (modern day Saudi Arabia), Mada'in Saleh --also called Al-Hijr ("rocky place")-- is an ancient city that was inhabited by Thamudis and Nabateans and was then known as Hegra. Some of the inscriptions found in the area date back to the 2nd millennium BC. However, all the remaining architectural elements are dated to the period of the Thamudi, Lihyan and Nabatean civilizations, between the 1st millennium BC and the second century AD. 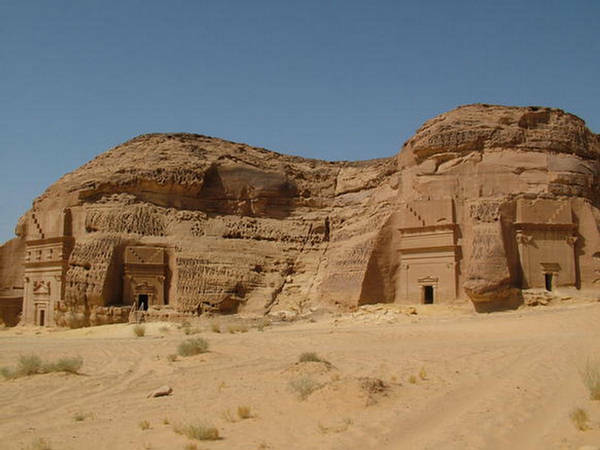 Mada'in Saleh is not only Saudi Arabia's most spectacular touristic site; it is also one of the greatest historic sites in the world. The rock tombs in this early morning light are of such an extraordinary beauty, consisting of different shapes and sizes, that gives Mada'in Salih a truly charming feeling. This historic sister city, Petra the former capital of Nabataean Kingdom, is located only 150 miles away to the north across the border with Jordan. I was there almost 25 years ago. We had to have special permission to go as part of an organized tour. It was spectacular on the second day getting onto the site at first light. The legend is that it is the city of Saul who’s wife was turned to a pillar of salt when the city was destroyed by God for being wicked. Saul and his wife and daughters were spared and told not to look back but the wife did.